Recognized as the top wedding blog for Temecula wine country, our team of creatives have personally shot millions of photographs from real weddings and have a working relationship with all the popular vendors and wedding venues in the area. Being in this unique position inside the wedding industry has given us the opportunity to know what brides want from their photographers, venues, wedding planners, florists and pretty much every aspect of their dream team for the big day. Brides want to be inspired and view real weddings. That is what makes Temecula Wedding House different from all the other wedding blogs: years of experience working together with Southern California brides to understand what inspires them on their wedding day. We help couples better visualize what their wedding is actually going to be like. Together we help them not only create that vision… but make that magic happen! It goes without saying that the majority of those spending time scouring Temecula Wedding House consist of brides-to-be and those helping her plan her big day. We also have a large number of daily readers within the industry that are getting featured, networking with each other and promoting their talents. As such, Temecula Wedding House is a great way for you to promote your skill and services to potential clients as well as connect with local industry professionals. Referrals are the strongest part of this business and we are building those bridges and connecting creative brides and talented professionals daily. You take pride in your work, we do too! We understand the importance of both branding and visibility. At Temecula Wedding House we take great care to ensure that we feature only the best wedding professionals in the area. All of our vendors are pre screened to insure that your brand will be placed among only the highest quality content. Temecula Wedding House is a directory of hand selected wedding professionals as well as products for brides-to-be. Our Brides use our directory to locate, learn about and hire the right team of professional artists for their wedding day. There is nothing we love more than receiving positive feedback from our list of Wedding Artists about newly won clients. We will continue to grow and evolve the features of our directory to increase usefulness for brides and help drive traffic to our Wedding Artists! If you are interested in learning more about becoming a part of our team of wedding professionals, please view our FAQ and submit here to be considered for placement. Begin the Process of Advertising Your Business on Temecula Wedding House! 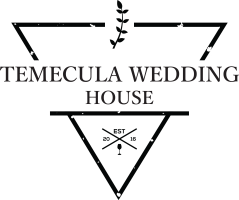 Businesses interested in the opportunity to have their company featured on the Temecula Wedding House blog can reach our marketing director for pricing and packaging options at hello (at) temeulaweddinghouse (.com). Each advertising inquiry is carefully reviewed to make sure the content is in line with our style, brand and audience.